We know Kindle customers are anxious to receive the 2.5 software update, so we wanted to provide you with some details about its status. We've rolled out the 2.5 software release to a set of Kindle customers and have received great feedback from these early customers. Based on this feedback, we are making some small adjustments to improve the experience further. We will be rolling out the 2.5 software update to more users over the coming weeks. * Collections: Organize your books and documents into one or more collections. * PDF Pan and Zoom: Zoom into PDFs and pan around to easily view small print and detailed tables or graphics. 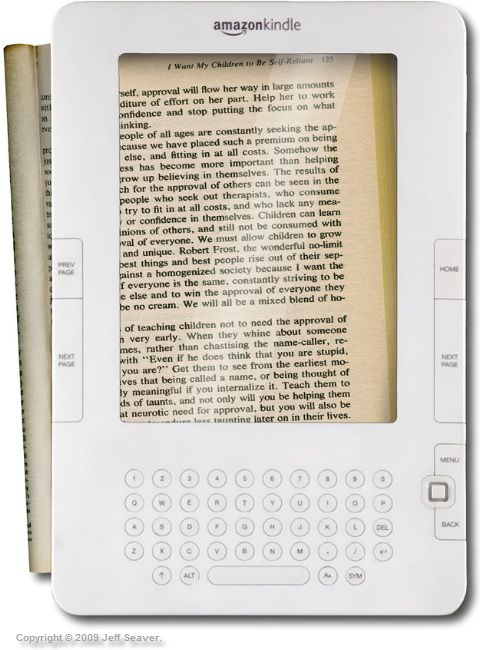 * Password Protection: Password protect your Kindle when you're not using it. * More Fonts & Improved Clarity: Enjoy two new larger font sizes and sharper fonts for an even more comfortable reading experience. * Facebook & Twitter Posts: Share book passages with friends on Facebook and Twitter directly from your Kindle. * Popular Highlights: See what the Kindle community thinks are the most interesting passages in the books you're reading.